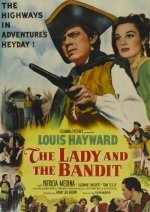 Cliff Banks (Curtis) gets implicated in a bank robbery and goes on the run, having various encounters before ending up in a rural paradise, where his presence casts a dark shadow over his host Clem (Craven) and Clems daughter Jane (Jean). Destiny circles in a remote orbit around the Universal Pictures horror cycle by virtue of having originally been intended as a segment of Flesh and Fantasy. Duvivier actually started shooting it as such a segment before the decision was made to instead turn it into a stand- alone feature. As it turns out, that was not a bad idea, because this is one surprisingly good movie.